Asia's pre-eminent young conductor, Darrell was born in Singapore and is a regular guest with some of the world's greatest orchestras: the Philharmonia, London Philharmonic, Royal Liverpool, Royal Philharmonic, the Mariinsky Theatre, Orchestre Philharmonique de Radio France, Orchestre National de Lyon, Munich Radio, Konzerthausorchester Berlin, NHK Symphony, Yomiuri Nippon, Hong Kong Philharmonic, Singapore Symphony, RTVE Madrid, La Verdi, Belgian National Orchestra, etc. Having studied in St. Petersburg and at Yale, he was mentored by Lorin Maazel, Sir Colin Davis and Esa-Pekka Salonen. Performer, Composer and Painter, Kam Kee Yong was born in Malaysia but soon moved to Singapore. He entered the Royal Academy of Music in London, where he studied the violin with Fredrick Grinke and composition with Alan Bush, simultaneously showcasing his own artworks at various Galleries in London. Kam Kee Yong hears the colours of sound as vividly as he sees those in his paintings. Drawing inspiration from the Orient, nature and Christianity, his music successfully combines Eastern flavour with Western instrumentation. He was awarded the Cultural Medallion of Singapore in 1984 for his outstanding contribution in the field of music. "It’s a fun CD, and a perfect opportunity to celebrate both the genius of Meyerbeer and the runaway talent of this young Singaporean conductor. Intoxicating performances, thrillingly recorded; Darrell Ang is one to watch." Giacomo Meyerbeer was the hottest operatic composer of his time, writing masterpiece-after-masterpiece for the Paris Opéra between 1831 and 1865. "Robert le Diable", "Les Huguenots", "L'Africaine" and "Le Prophète" were among the most spectacular and popular of his works, well lasting into the early 20th century. The overtures and orchestral pieces contained here illustrate the power of Meyerbeer's writing, his sense of drama, his orchestral coloring, and his melodic beauty. "L'Etoile du Nord" and "Dinorah", written for the Opéra Comique, are lighter in tone, but notable for their programmatic inventiveness. ZHOU, Long / CHEN, Yi: Symphony, "Humen 1839"
Widely regarded as one of China’s leading composers, Pulitzer Prize-winning Zhou Long writes music which is consistently compelling. The Rhyme of Taigu revives the spirit of Chinese court music from the Tang dynasty (618–907 AD), drawing on traditional percussion instruments. Symphony ‘Humen 1839’, co-composed with Chen Yi, vividly commemorates the public burning of over 1000 tonnes of opium, an event that was to lead to the First Opium War between Great Britain and China. Alexandra Dariescu makes her concerto recording debut on Signum with Tchaikovsky's Piano Concerto No. 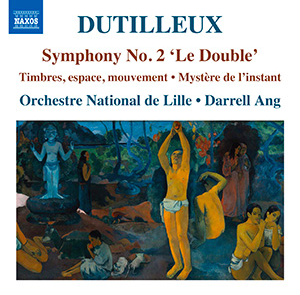 1 with the Royal Philharmonic Orchestra under Darrell Ang, pairing this with Mikhail Pletnev's concert suite of arrangements from The Nutcracker. Alexandra Dariescu has garnered an impresseve repution for her outstanding solo recordings and concert performances, and was recently named as one of 30 pianists under 30 destined for a spectacular career in the International Piano Magazine. These two concertos—one a staple of the repertoire, the other almost unknown—share melodic richness and a Spanish influence. 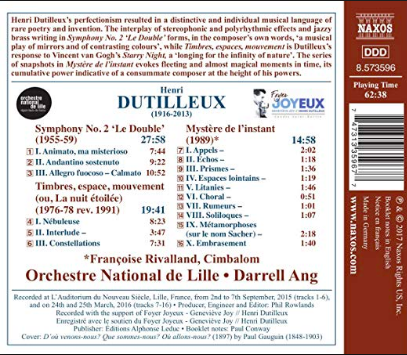 Lalo’s Symphonie espagnole reflects the quicksilver technique of its dedicatee, Pablo de Sarasate, in its ingenious and virtuosic passagework, with its moods and rhythms indelibly Iberian in feel. Joan Manén, in his day almost as famous as his fellow Catalan Pau Casals, was an admired virtuoso violinist and a prominent composer. His Concierto español, the first of three violin concertos, is suffused with technical demands, lyric warmth, and rhapsodic nostalgia. Soloist Tianwa Yang’s Sarasate recordings have received international acclaim.